Nonito "the Filipino Flash" Donaire Jr vs Anselmo Moreno is ordered by the WBC to determine the second mandatory of WBC Super bantamweight title. Nonito Donaire Jr. is a 4 divisions world champion winning IBF World flyweight title on 2007, WBA World super flyweight title in 2009 WBO, WBC World bantamweight title in 2011 and WBO World super bantamweight title in 2012. Nonito has a record consisting of 37W(24KO)-4L and lost to Jessie Magdaleno last November 2016 via unanimous decision. 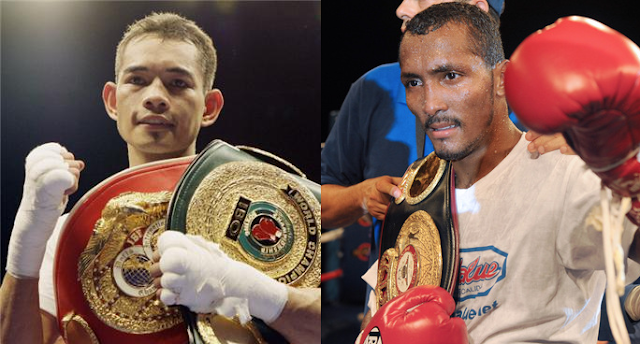 On the other hand, Anselmo Moreno is 2-time division world champion winning WBA World bantamweight title in 2007 and WBA Super World bantamweight title on 2010. He has a record consisting of 36 wins including 12 victories by way of KO and has only 5 defeats. Loses to Shinsuke Yamanaka via 7th round TKO in his last fight. Both boxers have a strong chin but Nonito's speed and power will be the advantages if the fight will happen.